Apple’s new iPhone app called Find My iPhone, had just been added to iTunes app store. The app is free and can be installed on ﻿iOS 3.1.3 or later devices. 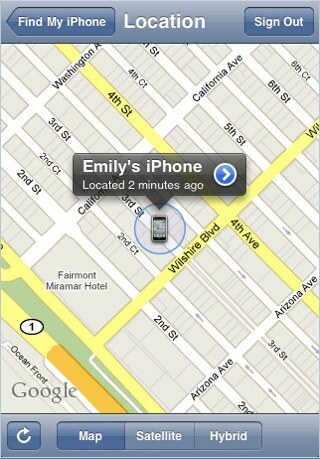 Find My iPhone app works in case your iPhone, iPad or iPod touch will be lost or stolen. Install Find My iPhone app on other iPhone, iPad or iPod touch (surely you can’t do it on the one that is lost or stolen), family member's / friend’s and the app will find your iPhone/iPad/iPod touch, should it be stolen or lost. ﻿You can login with MobileMe account to map your missing item and lock the device or delete all the data. After 15 minutes of inactivity, the app signs your log-in details out. The App can only be installed on iOS 3.1.3 or later devices and is available now for free.